The project which is developed by Salt & Water design studio with the aim to promote tourism on inland waters won Millennium Yacht Design Award. The floating hotel would be a perfect solution for tourism without any violation of the natural harmony of the place itself. 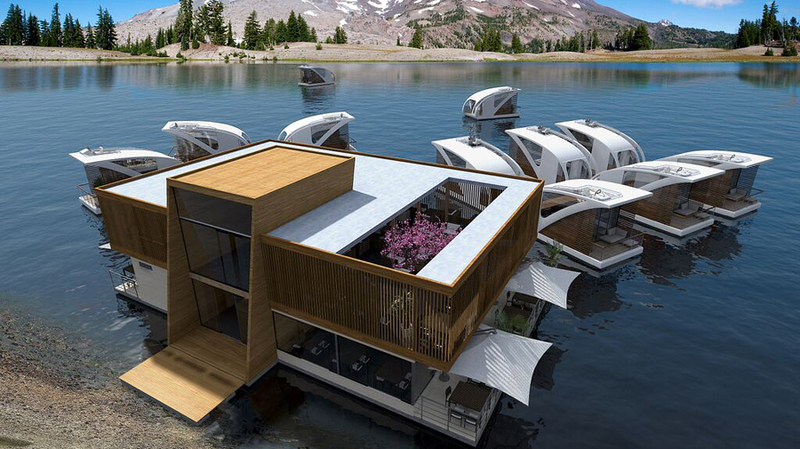 Floating hotel is consisted from two different parts – central floating construction and apartment catamaran units. 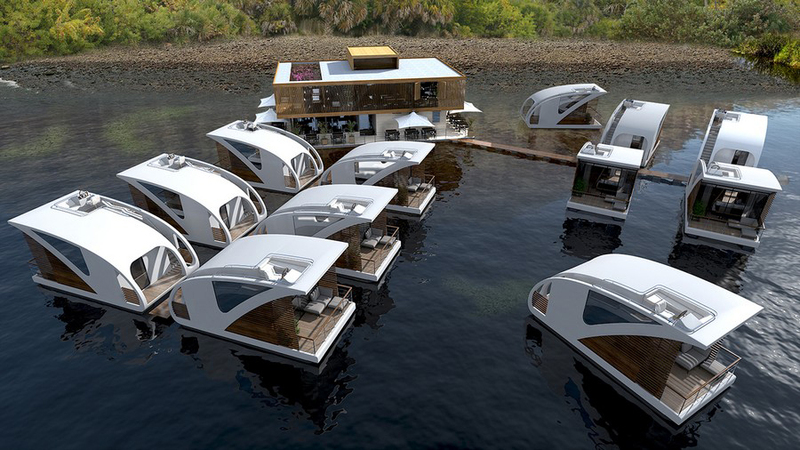 When passing through the central floating construction (which consists of reception, restaurant, event hall, offices for staff and a café), guests are reaching pathways which are connected to the apartment catamarans. Each apartment is actually an innovatively designed catamaran which can be easily separated from the dock and navigated, allowing guests to choose the perfect location for their vacation by themselves. 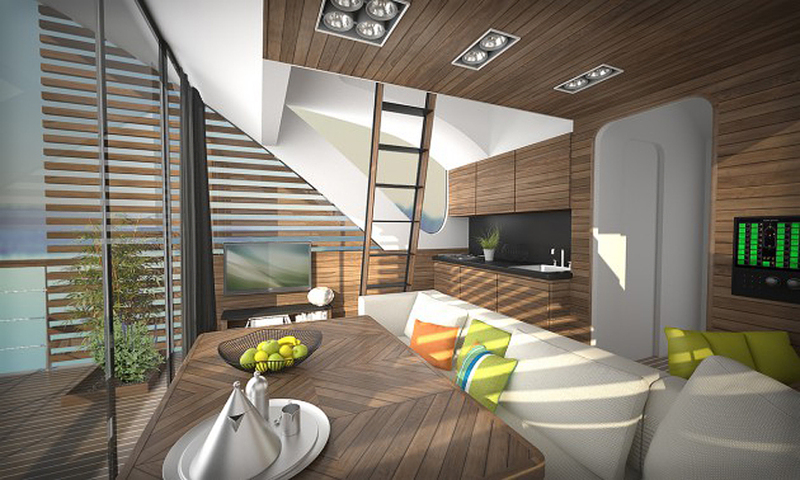 Catamaran consists of a salon, a galley, a bathroom, a hall with storage space and a sleeping area (above the salon). Guests can also relax at two separate outdoor locations– the flying bridge and the beach platform. Each apartment can accommodate 2-4 persons, thanks to the possibility of converting the salon into a double bed. From the beach platform it is easy to access the water for swimming, diving, fishing and sun bathing. The main idea is to allow users to enjoy their visit through a navigation at a very slow speed and with an uninterrupted view of the nature around. 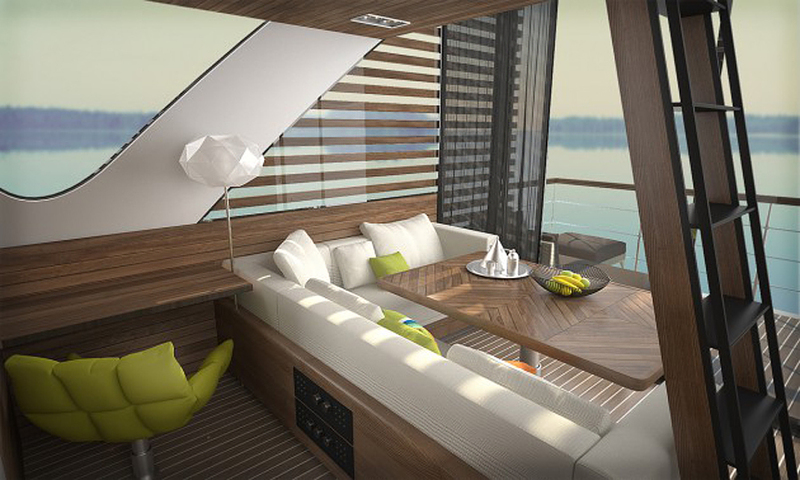 For this reason the catamarans have this unusual shape with large windows in the front. 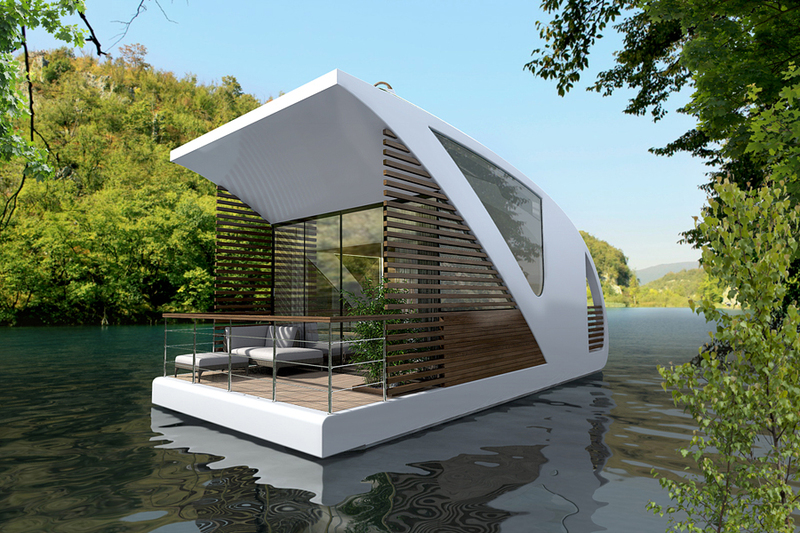 Catamarans-apartments can be considered as “frames of the nature” – connecting the guests with the water and the sky and isolating them from the everyday’s stress.